Horrified Viewers Demand That NBC Cancel "Shark Hunters"
With the advent of the second season of NBC Sports' terrible show about killing threatened species, "Shark Hunters," the internet is starting to erupt. Over 16,000 people have signed an online petition calling for the network to cancel the show, and countless others have taken to Twitter to express their outrage. The show follows a group of fishers as they compete in a tournament to win money for bringing in the biggest shark. 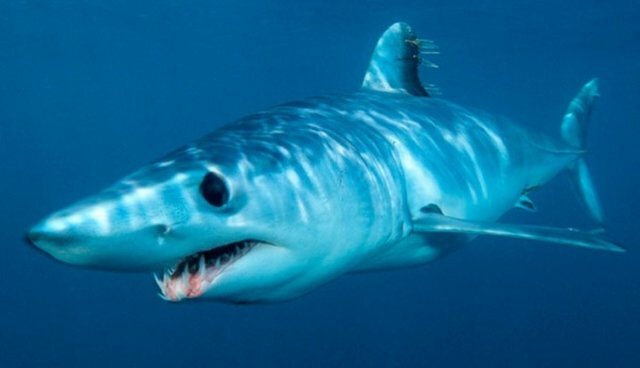 Among other disturbing things about the show, the hunters target only species that are listed as vulnerable by the IUCN Red List for the contest -- Mako, thresher and porbeagle sharks. In a world where shark finning and loss of apex predators is a major concern, the glorification of killing these animals seems incredibly backwards. Programs like this not only glamorize shark hunting and killing but also make the whole action "OK". Sharks play an important role in our oceans and if we continue to hunt them, our ocean's health will continue to decline. Change.org petitions have successfully convinced other channels, like National Geographic and the Discovery Channel, to cancel other violent hunting shows. I'm sure with enough signatures, we can get NBC to listen. We've reached out to NBC Sports for comment. You can read more about why "Shark Hunters" is the worst show on television here.